Omega Technical Service Manual (1971) covering the Omega A-2, B-22, B-7, B-8, B-9, B-10, D2, D2V, DM-2, D-3, DM-3, D-4, E-5, and E-6 enlargers. 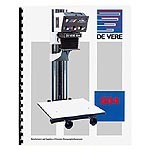 Original copy of the Beseler instruction manual for the Analite 500 Digital Enlarging Darkroom Meter. 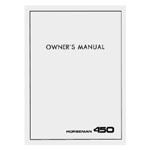 Instruction manual for Beseler CS-14, CS-20, CS-24 Copystands, and CLA-14, CLA-20, and CLA-24 Copy Light systems. Instruction manual for Beseler PM1A Color Analyzers. 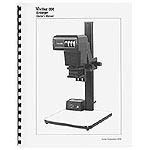 High quality copy of the original instruction manual for the Beseler PM2 Color Analyzer.